Welcome to Geitgey Properties "Virtual Tours" page. 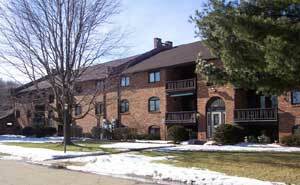 and the Carriage Hill and Englewood Manor apartments. Located in a beautiful park-like setting, Carriage Hill Clubhouse offers Carriage Hill apartment residents a heated pool with Jacuzzi, exercise/weight room, saunas, sun deck, party room, and garden/picnic area! CLICK HERE - To read the Carriage Hill Clubhouse History! CLICK HERE - To view a Virtual Tour of the Clubhouse! Floor Plan of a Carriage Hill Apartment! Floor Plans for the Englewood Manor Apartments!